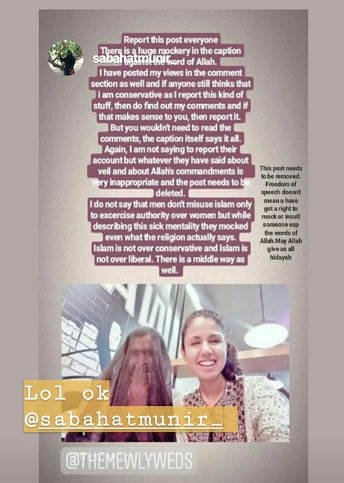 A picture of a Pakistani burqa-clad man has gone viral on social media, and it's for all the right reasons. 'The mewly weds' is an Instagram and Twitter account run by a married couple who call themselves activists invested in "bettering relationships for a better community." They illustrated their mission with an amusing gender reversal Instagram picture accompanied by a caption loaded with brilliant satire on gender roles, reports Times of India. 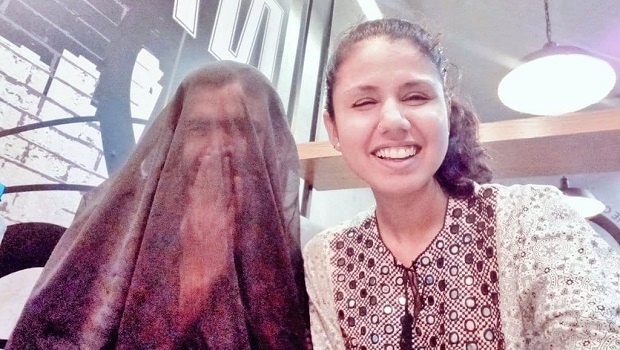 In the picture, the couple is at a restaurant, but surprisingly the husband is the one wearing a burqa, an Islamic full-length veil that covers not only a woman’s body but her head and face as well. The burqa-clad man's wife is dressed in a casual outfit next to him. “This is my husband. I took him out to dinner last night. Although I prefer he stay at home as the world is a bad place, it is ok when he goes out with me,” she began. “I love how he modestly hides himself, as he is khuli tijori. Also I let him work and drive because equality. Where's my medal?” she tweeted. 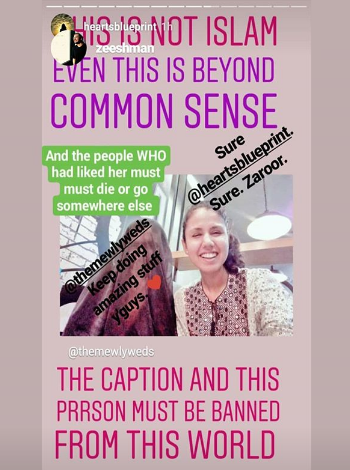 According to India Today, she then went on Instagram with the picture to address unfounded notions on women's fertility, detailing how she keeps a tab on what her husband eats so that his fertility is not affected. “We only go there because they use steroid-free chicken..I don't want his fertility to be affected because his major purpose of existing is to give me children and make me a mother,” she wrote. She further touched on freedom, noting how she prefers he stay at home because the world outside is a cruel place. Boasting about her strength and power, she wrote: "A woman is not supposed to be weak, you know, we were created to be strong and macho." The post won hearts as Twitter users joined in with their own witty and satirical messages. “Get him a black veil. This is too revealing, you don't want women seeing him,” responded one. You don't have to waste money going to restaurants with him! He should stay home and cook for you, that's what a good husband should do! He will become entitled if you insist on such treats for him. You should be MODEST! ???????? However, not everyone appreciated the couple's post. Other social media users accused them of mocking the veil and their religious beliefs. Total Psychopathic and irrational argument. This is rebellion against nature. Let them be whoever they are. You can't magically change the gender. She concluded the post by thanking those that understood the message she was trying to convey. “May we all together become change catalysts, may we all learn to treat each other based on humanity,” she signed off.